Welcome back! Did you notice anything different? If you’re observant, you probably saw that many of the comments now have a little face next to them. These are called “gravatars” and they’re the latest edition to the EzineArticles blog. Gravatars fall in to that wonderful little “No-Brainer” category reserved for things that are FREE, EASY, FAST and packed with benefits. So why wait? Take a few minutes now to create yours, then leave a comment so we can all see your creation! Thanks! Already wondered from where the pictures come and how to do that. It’s really good for branding and recognition if the comment also shows an image of the person who has commented. Thank you for the instruction. I have been wondering since yesterday how to get the photo of the person to be on the comment. It is good to have this feature as we can know each other who commented on this fabulous blog. Thanks for providing this services. This is my first time commenting on this blog as I have been reading quietly. I find this blog to be very informative and I am looking forward to your futrue blog post. Great addition… plus I loved the musical interlude! Thank you so much for this! I have been getting so much valuable information on this site! I already had my gravatar set up through wordpress, but having it used here is a nice bonus! Yep, I’ve been using Gravatar for ages now. It’s good to get an image of yourself branded if you are trying to create a brand name for yourself. It’s something people instantly recognize before they do your name. Hi – Thanks for the email about “gravatars”. I got mine. I did it as it is a branding tool as I have never had much luck with flavicon software. Love being able to ‘see’ who is writing the comments. YAY! This is a great feature and I am beginning to see it pop up all over the place! Kudos for adding it. Thanks for the helpful advice about Gravatar’s. It’ll save me time and hassle from uploading images of me all over the place. Thanks for the tip. Although I have not begun to submit articles yet, I’m well on the way and this with come in handy for name recognition. Hey Thanks Chris. I wondered how others were able to have their photo along with their signature. I look forward to your emails, as they are always informative and fun! When I tried to signup I was told my email address was already in use. What should I do now…if anything? How can I check to know for sure it is actually in use? Here I come! Or do I? Let’s see! Wow!!! Chris, the Mahaguru! Sky is not the limit learning with Him! I’m astounded at the number of people who don’t take advantage of gravatars. At my blog, I sometimes see 12 comments on a certain post. Which one sticks out among all the others? The one with the gravatar! Thanks for adding this nice touch for Publicity Hounds everywhere. EzineArticles rocks! Keep on keeping on EzineArticles. You are the BEST and still showing the way. Definitely, it adds color to writing stuffs. What fun Chris, thanks so much. 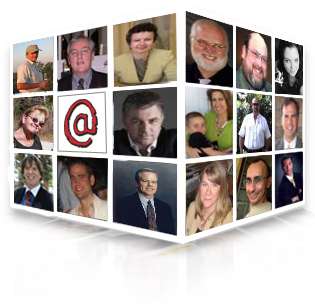 I’m no longer a faceless name in the crowd…..
OK, let’s see if my gravatar works! Thanks Chris. It’s always better to ‘see’ who is doing the talking and/or the answering. Cool addition. Chris, thank you so much for posting this! I agree with others, above, that not enough people know about the Gravatar! I’ve been using this since November (08), and just logged in, prompted by your email. I did not realize that you can use more than one email address and gravatar! And that is very cool! When posting out there on the Internet, this incredible service makes things much easier. As for creating “brand,” this cannot be beat. When I sign up, it says my email already exists. I’m curious to see if I already have a gravatar. Here goes. OK, what did I do wrong? No picture, sniff, sniff, no gravatar. How one can fly without wings in the sky? Here is the chance with Ezine blog wings. Sure will make things easier. Thanks for the heads up and for signing on to this Chris. I too was told my email was already being used! So I used the forgot password to get it reset and uploaded my gr-avatar. Not sure why their system is rejecting valid emails but at least there is a workaround. Like the gravatar. How do u get one? Wow, this is tooo cooool. Thank u everyone that replyed to my question. I just signed up the other day, but haven’t seen if it works. Thanks for the opportunity to test it out! I really appreciate the tip on gravatars. Now I’m testing it out on your blog. I set my password and I’m trying again. Another nice Ezine Article touch – well done! Is signing up for Gravatar all I have to do? Thanks – you guys rule! Feel free to keep trying and posting on this thread until your Gravatar shows up. You won’t see my gravatar when I do a blog comment because myself and our team have hard-coded avatars so that you know when we’re responding on behalf of EzineArticles vs. non-EzineArticles staff. Hope that makes sense. OK, let’s see if this works! I d like see if this works well ! I d like undestant it better. Excellent! Don’t we just love technology! Our logos got some power now! How much better is it to see who actually is writing the comment. A personal touch. Thank you! I also wanted to mention that IMHO, Marc is probably one of the BEST bloggers on the web. I love reading his stuff! EzineArticles has improved 10-fold since he joined the team. It’s like magic. Compliments to all the engineers who figured out how to make this work. Hmmm… Seems like I already have one of those, but now I’m not sure. Okee Dokee then. Went over and set it up. Gravatars really help with personal branding and tieing up disparate posts made across different platforms. This is pretty cool, handy and super quick to setup. I was surprised to see I already had an a/c though with a username I use elsewhere so the ‘creators’ of gravatar must have another business that I’m a member of? just used the reset password function like the others and it’s all sorted. Cheers. Thanks Chris. This is pretty cool stuff. Hats off to you for providing this wounderful tool for branding. Let us see how this works. Thanks Chris! As always, great information! Here’s hoping I got it to work. I love how you’ve all worked really fast to adopt this Gravatar concept. It really adds serious credibility to your blog comments (not only on this blog, but all blogs that plug into the Gravatar database)! Just had to drop in with a comment … so I could see my Gravatar in action! Awesome! This is great, Chris. No doubt, adding a face, especially to the Internet, helps a lot. Thanks for the tip … it’s a great idea! All the very best to the EzineArticles team. This is so cool! Provides instant self-identity across all platforms on the internet! OK now I REALLY have to get a better mug shot! Thought you all should be the first to know that we’ve made Gravatar’s live site-wide on all 2 million articles! We’ll be announcing this next week to everyone else. Since you seen to be so knowledgeable, ca you please tell me (if you know, of course) why my avatar is Not showing, despite signing up and confirming..and all…? I don’t know where to turn to fix this…? Awesome! I like it. Already used it for some of the other sites I write for. Keeps things simple! I loves and recognize GARAVTARS. lOVE IS GREAT AND UNVALUABLE. TO SEE GARAVATAR UP TO ZENITH. PERFECT, EXAITED, UNAPPROACHABLE AND INFNITE. When a personal picture is displayed, it is a great way to identify better with those that are commenting as well as validate that there is a person standing behind the comments. For people who use their real photo, it’s great to see who’s writing! Good decission and all the way to win. Every thing has two ways. One has front and back. One has head and tail in the coin. One side GRAVATARS AND EZINE. Gravatars merge to become one. Yahoo EzineArticles! I know that when I am teaching article marketing, I am always emphasizing how important it is to make “useful” comments that stand out on other people’s articles. Using a gravatar helps tremendously because so many other commenters do not use them – you will be noticed. Plus – seeing a face next to the comment helps instill trust in the commenter. I know I prefer to know who I am listening to! How to get feed back? It reflects real image of some one. Who do give the comments? When I tried to sign up it said that my e-mail was already taken….maybe I signed up a while ago and forgot about it. By posting this message I will get to see if my avatar posts next to the message. Well my photo didn’t show so I don’t know what to do now. Any suggestions. Jan, It’s possible you have an account but did not assign a photo to that email yet. When you log in with your email address, you should be able to go to “manage” and see if you have any photos uploaded. If you do not, you go to “add an image” and you can upload an image, crop it and then assign it to your email address. You can also add multiple email addresses with different photos each. This is a good programme, we can now see image that speaks. He will definately add some thing new as per the modern world requirment of the modern people and with excellent technique. I am confident he will give some thing unique to new world with his noble mind. Something very excited and feel surprise to see GRAVATARS HERE WITH EzineArticles. HE IS THE KING OF ARTICLE WRITING AND WORLD FAMOUS. Sunil Gavaskar was the little master! Tu kaun hain yaar! (Who are You!) High time Gopal the Poet reveals Himself! I don’t remember signing up for mine, but when I tried to just now, it told me my e-mail address was already taken. Hope it was me, or I shall be suffering an identity crisis. Nope! I’ve just tried again to sign up for a gravatar and it keeps telling me that e-mail address is taken. By whom, I’d like to know? Help! What do I do? If it was you, they can help you recover password. If it was not you, they can help you sort that out as well. Hey.. This is really cool. These gravatars really add life to the comment!! Cheers! Yesterday night I had intuited about GRAVATARS. Here down loaded, just get it. Mr Chinny, pointed out fingure in his comment. Gawasker had a name little master in cricket feild. There are so many other feilds that you don’t know in the universe. You will get your answer, my loving man go your inside and think with a cool mind and repeat the same. It is just your feeling nothing else. WHO, is the word and whom you pointed out to your self. Master Gopal! Be my friend, philosopher, guide. And this makes my urge to behold you all the more. Reveal o’ my Master! GRAVATARS is on the hight of heaven. Golden opportunity to drive free with GRAVATARS. We learn and get educated with ease way and consistency drive. Get all the way six on all the six balls of over and get learn the cricket match, how to drive consistency. What a forum fram work is? You accepted little master your friend, what matter never mind. Friend is who, who covers the hardship of friend never open to others. Hi, I think this branding is great! I haven’t used it to it’s fullest, but I sure do tire going to “my pictures” and uploading a pic (avatar) for each site or forum. Okay I love this. Let’s see if it shows up. Thanks for the info. I think I already have this service. Will see when comment posted. Wow! That was easy. Thanks for the tip. Thanks Lisa – and Chris, I guess. My gravatar popped up all on its own! I see from other entries that it may take a few moments. It’s great to see everyone – and to be seen. I think ;-( Not a great fan of my own photos – bit camera shy! This is a great development. Gravators make everyone so human..
A big HELLO and THANKS to all at EzineArticles! And, just checking my Gravatar. Once again, EzineArticles never ceases to amaze me with their great ideas and fab user services. Ha Ha Ha, just checking, and wanted to re-assure you that no Turtles were harmed during the making of my Gravitar. Thought I would try out my new gravatar. Thanks for all the good info! Firstly I say a very happy new year 2010 to my EzineArticles team. Seem the change modernized structure, which is appreciable. Gravtar done more than my expectation with EzineArticles. Seem Gravatar is leading the team as personality leader. My eyes says love to my own Gravatar and feel more proud on your success. YOUR SUCCESS IS YOUR TEAM SUCCESS, KEEP IT UP, ALMIGHTY BLESS YOU TO GROW WORLD WIDE. So thats what I look like? Wow, i have been a little slow getting through my old e.mails. I am glad I checked this one! I really appreciate this great information. But I’m having some difficulty in changing my avatar. I’ve chosen the one I want and confirmed it, and then when I refresh the page, the old one still shows up. Any suggestions on what I need to do to change that? Simply wait. I believe it takes some time for all the servers, etc. to get caught up with the change. If, after a day, it’s still not updated, contact Gravatar Support.